Allergies | Have kids, they said. It'll be fun, they said. That’s right. My BabyGirl is quickly becoming less and less of a baby, and more like a little person. Sigh. I mean, let’s be honest – she will always be my baby (poor kid) but there is no doubt that she certainly is growing up. Sigh. She turned two yesterday and we threw her a little party. We decided to have an afternoon party once Princess got home from school, and then have it lead into a fish-and-chip dinner for those who couldn’t make it at 4pm. That is, those who actually have, you know, day jobs! On Wednesday, BabyGirl had a pediatrician appointment to discuss her Dairy allergy. We were “discharged” from his care back in July last year, under the plan that we would slowly introduce dairy products into her diet. However, she was not reacting well to this so we went back for a review. And, not surprisingly, he suggested that we go back to square one for at least another six months, with no dairy at all. 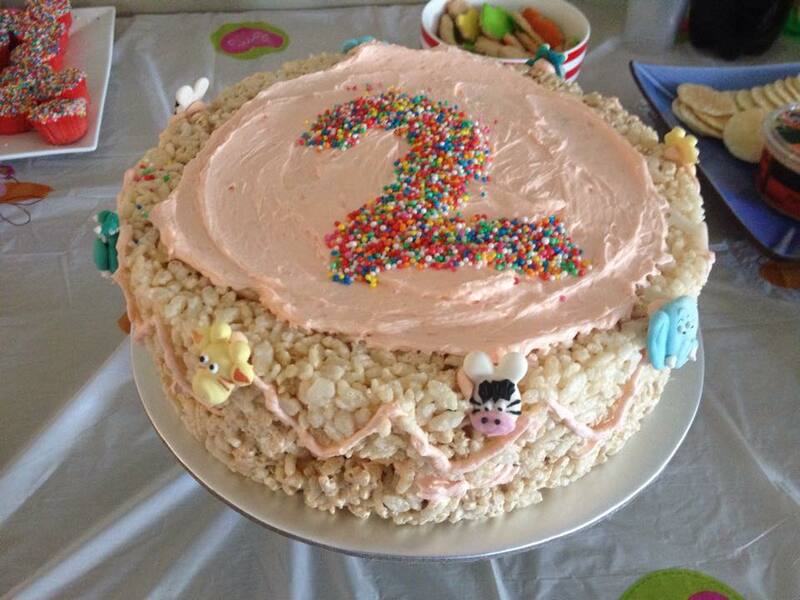 And so, we had our second Dairy Free Birthday Party! Because it was an “afternoon tea” I wasn’t too worried about the amount of food. I served up fairy bread (sprinkles on bread with dairy-free spread), dairy free cupcakes with sprinkles, Arnotts Animal Biscuits, Oreos, popcorn, marshmallows, rice crackers and hummous. Which brings us to the cake. I wanted to do something different this year, rather than the usual dairy free cake. So i had the brainwave to make a cake by using a marshmallow/rice bubble slice recipe, but forming it into a cake shape. I mixed together rice bubbles with marshmallow creme (this product isn’t common here in New Zealand but our supermarket sells it in the International Foods aisle and I love it!) and some melted coconut oil. Once it was mixed I put it into a round silicon cake pan and let it set in the fridge. I did this twice so I had two layers, then I sandwiched them together with buttercream icing (made with margarine rather than butter). For the “decorations” I had some pre-made animal figures left over from another cake, and used some more buttercream on top, with a stencil of the number two done with sprinkles. The cake was SUCH a hit, especially with the adults! There was NONE left at the end, which is a first with birthday cake! For party games we literally just did pass the parcel. BabyGirl is considerably younger than most of the kids at the party, and couldn’t grasp why a present was being passed around the circle that she wasn’t allowed to open! It was a crazy, chaotic game due to their being so many kids, of so many varying ages. But nevertheless, all the kids seemed relatively happy with their lollipops. Once the food was eaten and the game was played, the kids went outside (in less-than-tropical weather) and played on the trampoline and in the sandpit until it was too dark to stay outside any more. And when that happened, they all piled back inside for a MASSIVE amount of fish and chips! 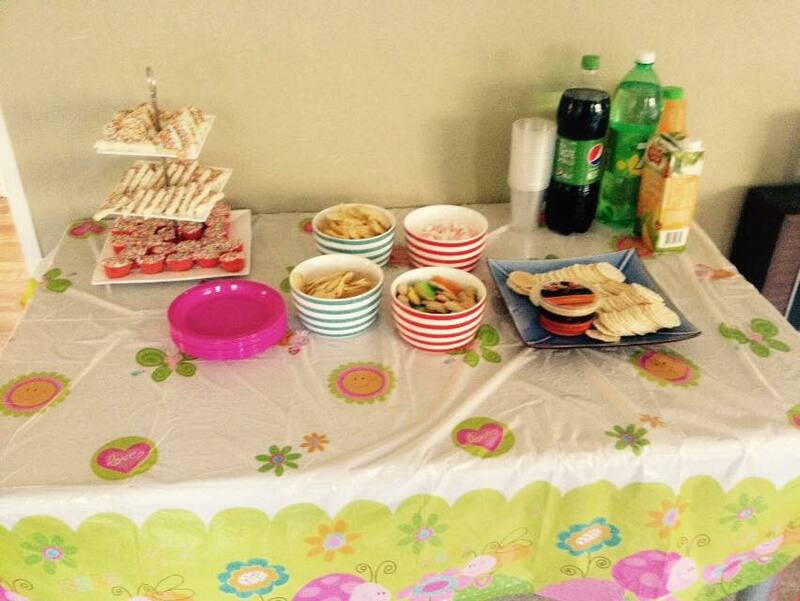 It was a lovely party, and I know BabyGirl had a blast. 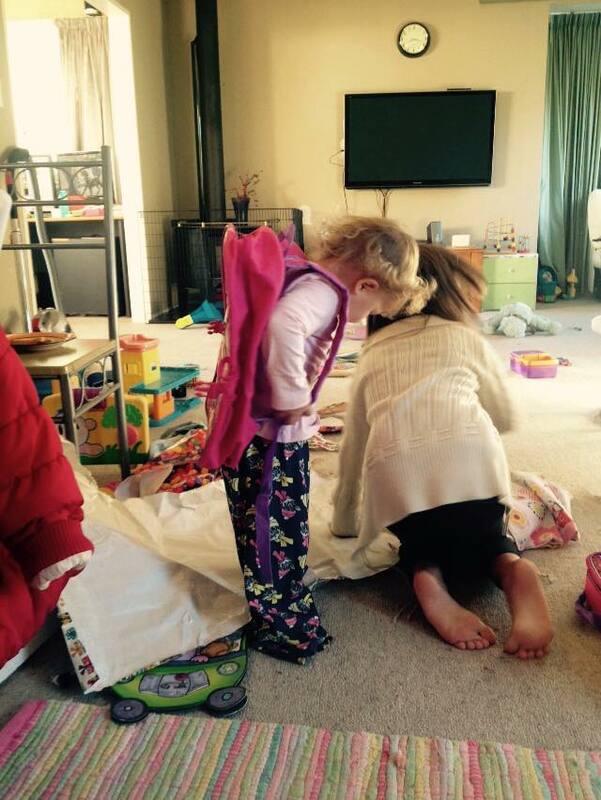 And, just to remind us that she is now TWO, this morning she ended up in time out twice, once for pinching her brother until he cried, and once for pulling her sister’s hair until she cried. Last week was Allergy Awareness week in New Zealand and, for the first time, this actually meant something to me. Because, as I have mentioned before, our little BabyGirl is allergic to all products that contain cow’s milk. So, I thought it apt that I write a little about our experiences with this, dealing with her reactions and adapting our family to suit her and her needs. Now, I am well aware that there are far worse allergies out there. I know a child who has an allergy and/or intolerance to most everything. But, dairy products play a larger part in our diet than I ever considered it to. I mean, I’ve never been a milk drinker. So, when I was told, “no dairy”, I thought, easy. Nope. How did we learn that she is allergic? We were somewhat lucky (?!) 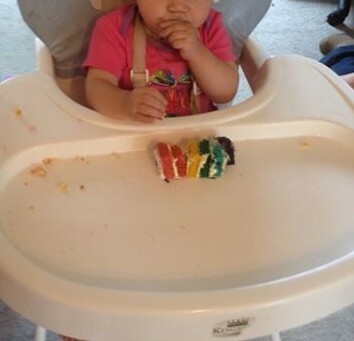 in that BabyGirl had some relatively severe reactions very young, which meant that by the time she was starting on solids, they were able to test her pretty early on. When she was 3 months old, I decided to go swimming and left the little baby with her Daddy and a bottle of formula. Half an hour after she guzzled the entire 180ml of formula, she started vomiting. And vomiting. And, vomiting. We ended up in the emergency department at the hospital, with the little pet bringing up bile then collapsing on to me. Heartbreaking. At first, they put it down to “probably a tummy bug” and we went home in the morning. However, a week later and Mr T and I went out for our anniversary, leaving the kids with my sister. Upon our return, the vomiting started again, and back to the hospital we went. This time they said she was clearly allergic to something in the formula, but they had no idea what. Skip forward two months and we gingerly started giving her solid food. After a meal of custard and egg, she started wretching and screaming. And then, when BabyGirl was 7 months old, Mr T fed her some ice cream and her face flared up instantly, exactly where the ice cream had touched her skin. Bright red. We took her to the doctor that week and they did a full blood test to see exactly what we were dealing with. Frankly, we were pretty happy the day we got the phone call to say, definitely cow’s milk, because it is so much easier to manage something when you know what something is! The biggest challenge when we were told that BabyGirl couldn’t eat dairy any more, was figuring out what had dairy in it, and what didn’t. These days, there are a lot of people who don’t eat dairy products, or who are gluten free, and product packaging reflects this. 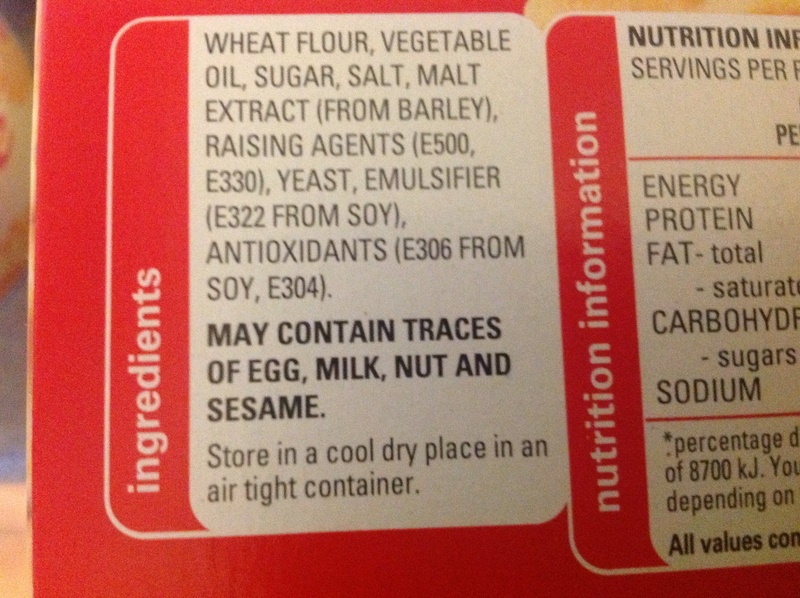 A lot of things clearly state what allergens are or might be in the product. I was advised to drop dairy from my diet as well initially as I was breastfeeding her and, while I have slowly reintroduced it for myself, it made things easier in the beginning to cut it completely for me as well. The first few times I went to the supermarket, I was there for hours. Reading every. single. label. But, months down the track, I now know a lot of foods that are “safe” for her. Some surprised me, too! Oreos, for example. They are cookies and cream, yet contain no dairy. Some products are dairy free in one brand but not in another. I found snack food the hardest. Easy, quick foods for a little baby adjusting to solid foods were hard to come by. She couldn’t eat a lot of the rice cake-type things because they are too hard, and she couldn’t eat certain fruits and veges for the same reason. Things like fresh pasta (ravioli, etc) were my “go to” foods with the other kids, yet I couldn’t give them to BabyGirl. But, I learnt. Another big thing that I learnt the hard way? Parties. Going to a birthday party for another little kid. When a baby is one, they want to eat what other people are eating! They want cake too! I have started making dairy free cakes and cookies when I know we have a party to go to, so I take my own little baggie with her own cake and cookies. Also, we go to a music group once a week and the kids get morning tea afterwards. Again, I take my own little baggie and that’s what BabyGirl eats. We have been advised by the Pediatrician that she *should* outgrow this allergy by the age of three. It was her birthday at the beginning of this month, and though I endeavored to make the food as dairy-free as I could, a couple of dairy items got by. And, within an hour or two of her party, she had an itchy, horrible rash on her chest. That was a shock to us, as months without dairy had lulled us into the false sense that her allergy was waning. Though it is tempting to “test” her and see what reaction she might have, it only takes remembering that little dot in the hospital barely able to hold herself up due to so much vomiting, to remind us that she is not ready. Having a three year old and a four year old in the house makes suddenly banning certain foods a challenge and somewhat unfair, but again, we adapted and they learned to as well. We rarely have ice cream now, and when we do, we make sure there is sorbet for BabyGirl. The older kids have yoghurt, BabyGirl has soy yoghurt. I am learning some really great recipes for the kids to help with – last week we made dairy free chocolate chip cookies (I found dairy free chocolate chips!) which were nicer than other ones I’ve made! The kids have learned not to feed BabyGirl anything without checking with me first, and they are really good about it. A lot of people assume it’s a lactose intolerance, or, even, my imagination. 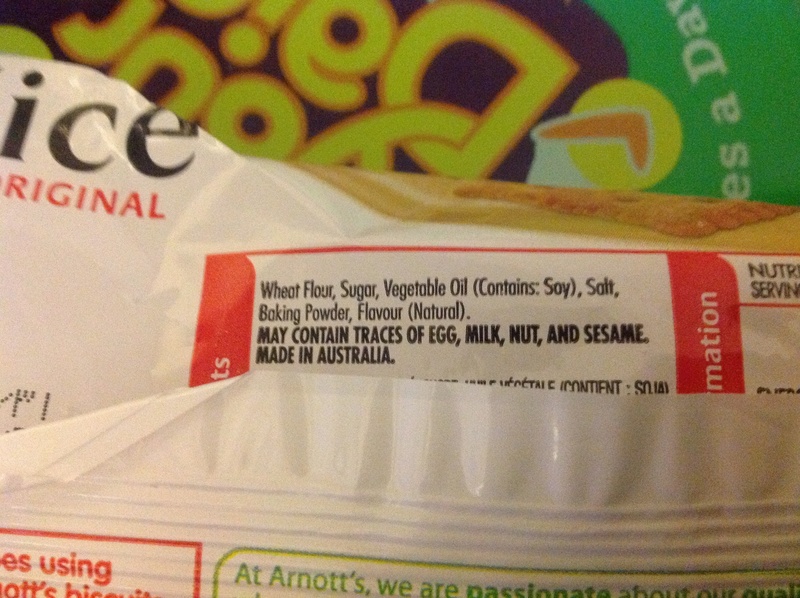 Which is funny – why would someone deliberately limit their child’s intake of nutritious food? That’s just silly. I tend to ignore these comments – believe me, I hardly have the time to conjure up false allergies for my children! So, basically, it is what it is. Given the choice, obviously, we would prefer BabyGirl not have these allergies but she does and so we deal with it. I’ve learned a lot about products, I’m a lot more conscious about my shopping and I lived without dairy for a few months and was actually ok with it. Hopefully she outgrows this in the next few years – very few adults have food allergies so we are looking forward to that day. If it doesn’t come, that’s ok too! And, here is the recipe for chocolate chip cookies that I mentioned, because they are awesome 🙂 And, egg free as well, if you have an egg free child! Cream the margarine and sugars until fluffy. Slowly add the soy milk and vanilla and mix well. Combine the dry ingredients and add them into the creamed mixture. Add the chocolate chips. Roll onto a baking tray in small balls, bake in a preheated oven (180C) until they are slightly browned (about 8 mins). They will be quite soft when they come out but this makes them super chewy later on! 100% awesomely magical cookies! Pow! She’s Dairy Free, but she’s still pretty amazing!